Shuffling forward in a pro-Gillard trance, press gallery types shunned the real story on her foray into world affairs. The time has long passed when an Australian prime minister could come to office without some sophisticated ideas on “engagement with Asia”. Too much of our security and prosperity is at stake. A considered strategy on the delicate problem of balancing our ties to the United States and China, not to mention other Asian powers, is nothing less than elemental. Yet Gillard came to the job without having uttered anything memorable on the subject. Not until late September this year, in an Asia Society Lunch address, did she focus on the issue, and then only to outsource her thinking to Ken Henry, commissioning him to draft a White Paper on “Australia in the Asian Century”. He was given the widest terms of reference imaginable (the better, incidentally, to marginalise Kevin Rudd). Out of the blue, Gillard has since announced the stationing of US marines on Australian soil, good as such, without having first elaborated a context to soften the offence to China, which isn’t so good, and attended recent Asia-Pacific forums with no settled policy framework of her own. The potential fall-out from the first may be serious, and the second must be counted a lost opportunity. Pity about the timing: Henry’s paper isn’t due until early next year. Still, who needs a strategic perspective when you can smooch Barack for the cameras. None of this matters to the press gallery, even though it encapsulates the whole Gillard prime ministership. Australians have had enough time to weigh-up her style of leadership, if that’s the right word. In this they’ve received no help, but plenty of interference, from cheerleading journalists who steadfastly ignore the obvious in their haste to declare, for the umpteenth time, that she has “turned the corner”. The problem, as most Australians see it, is that Gillard isn’t sure which corner to turn until someone hands her the directions. The image of Gillard as a fumbling go-between is firmly set. And while it’s wrong to claim she has no positions of her own, her mode of governing lends plenty of weight to the public perception. Eighteen months on from her ascension, it’s arguable that Gillard has downgraded the office of prime minister. This is a different point from suggesting she has disgraced the office, as many would. That judgement focuses on her broken promises and sharp practices. It’s also different from the point that she is less competent than her predecessors, although that is tenable. Rather, she has redefined the prime minister’s function in our political system and culture, and defined it down (to borrow the phrase “defining deviancy down”). Up to now, our prime ministers have conceived themselves as policy standard-bearers. They absorbed prevailing currents of thought in various fields, mastered them, fashioned their own perspectives in concert with colleagues and party, and advocated them publicly. They were verbally proficient in debate, mixing it with all comers, including the policy wonks and power-brokers of their day. Contrast that to Gillard’s performance. Her public utterances tend to come in three types. Purely formal statements, devoid of content, like “we are working through these difficult issues” or the question-begging “we are doing this because it is the right thing to do”, ponderous descriptions of a process, and political point-scoring. When she does turn to content, it’s usually at such a high-level of generality as to be pointless. This extends to her stodgy set-piece speeches, delivered in that inimitable rote-fashion style. The Asia Society Lunch address was a case in point. Australians are right to doubt the capacity and independence of a prime minister who can’t discuss her troubling policies fluently or convincingly. Despite her background as an industrial advocate, Gillard has little aptitude for the art of public persuasion, one of the indispensable traits of an effective prime minister. On public advocacy, her instinct is to delegate the heavy-lifting to proxies. For a long time Ross Garnaut was the Prime Minister for Climate Change, Pat McGorry has been the Prime Minister for Mental Health, and Ken Henry is set to become the Prime Minister for Relations with Asia. By force of necessity, Gillard is driven to practise a passive, backroom form of politics, sifting through agendas pushed on to her by various factions, interests and lobbies. Policy outcomes emerge from deals and fixes, stitched together to satisfy stakeholders and, above all, meet the government’s short-term political need for “wins”. Policy purity is a low priority, while public discussion is smothered in Gillard-speak until a decision is announced, as a fait accompli at some stage-managed event. These tend to feature ranks of clapping children. For most of this process, the broader public are ill-informed bystanders. Gillard’s own contribution, in the general scheme of things, resembles that of a corporate facilitator, a role which rose to prominence in the 1990s, when white-collar workplaces struggled to cope with a wave of organisational change. Generating no substantive change themselves, facilitators exist to reconcile employees to the directives of senior management as smoothly as possible. Gillard is less a prime minister, more a prime facilitator. All of this reeks of elitism, and it dovetails with a deeply ingrained strain of paternalism on the Left. Gillard isn’t immune to it. When asked about her convictions, her stock line is “I believe in the transformative power of education”. Use of the word “transformative” is revealing. 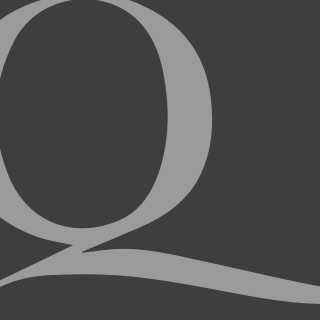 More than a path to broader horizons and the professions, it suggests, higher education elevates people to the status of superior, qualitatively different beings. Having thus been transformed, they are, presumably, entitled to lord it over the untransformed masses. 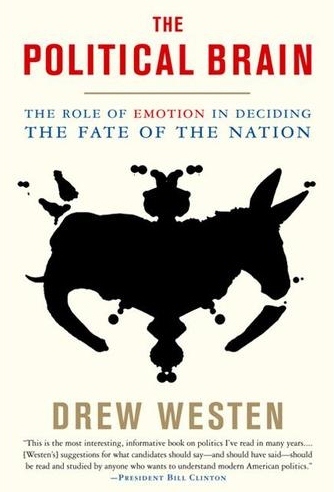 Just as revealing was Gillard’s response to a March 2010 survey of politicians’ favourite books, naming Drew Westen’s The Political Brain as her last non-fiction read. Westen is a far-left psychologist at the University of Atlanta who had a lot of influence around the Obama campaign in 2008. He propagates the theory that voting preferences have more to do with emotional attachments than rational choices. This is why, he argues, the Right cajoles so many working people away from their true economic interests. To succeed, the Left should forget rational argument and move to emotional manipulation, mostly by controlling the vocabulary of political discourse. This is patronising stuff, and little more than a rehash of Marxist “false consciousness”, but Westen’s influence on Gillard shouldn’t be discounted, even if, in her hands, his prescriptions look like a crude roll-out of spin, stunts and smears.